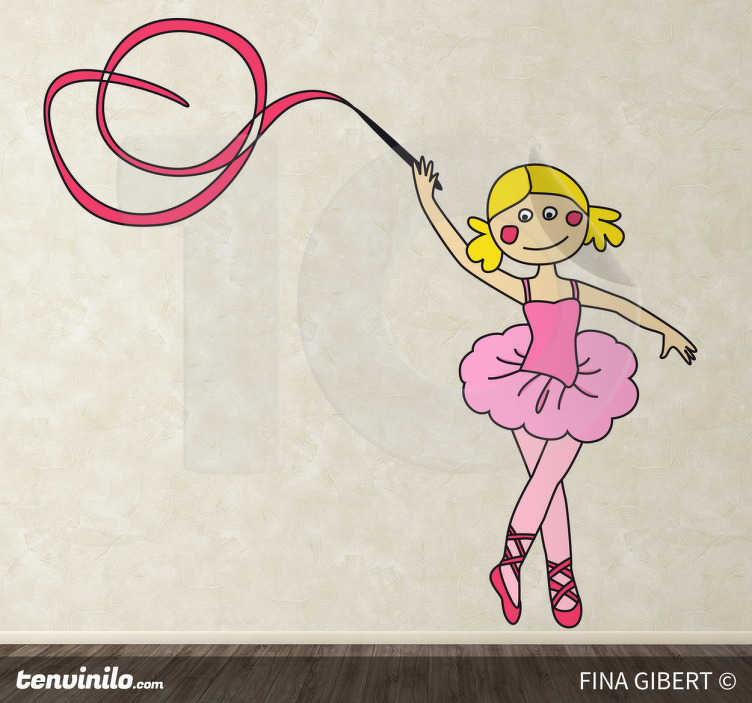 Illustration sticker by Fina Gibert of a cheerful ballerina dancing gracefully with a ribbon. Do you have a budding little dancer at home? Grab this hand drawn decal to place on their bedroom wall to help to make it a more unique and personal space.